Posted on March 22, 2018	in Completed, New Construction, Portfolio, Uncategorized. Permalink. 2360 SF house with a 305 SF deck in country setting. We have been hired to design and build an energy conscious, thoughtful family home that can grow with this young Seacoast family. 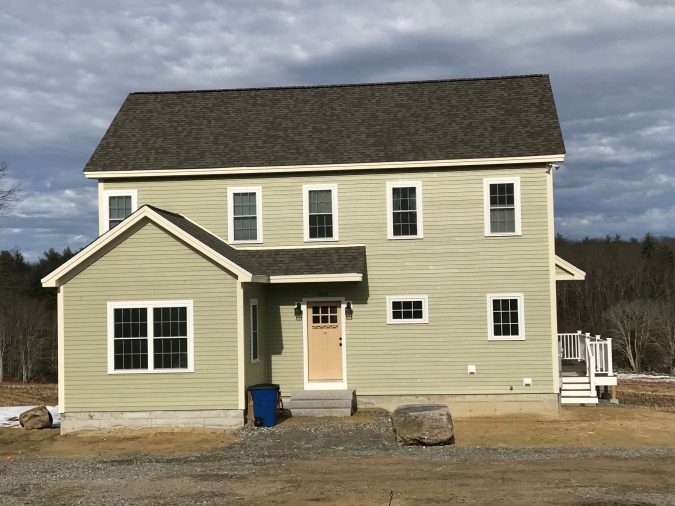 This home features R-26 SIP panels, R-30 insulated foundation and R-10 slab, triple pane windows, air source heat pump for heating and cooling, heat pump water heater and R-49 recycled cellulose in the roof. 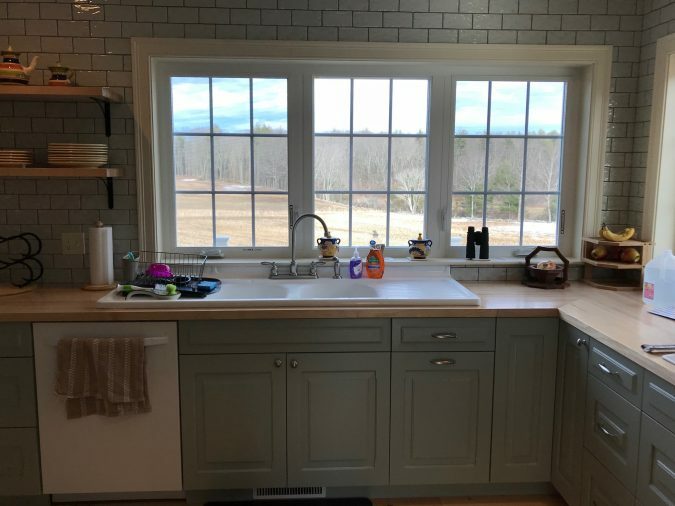 With beautiful views over the rolling fields and conservation lands, this home is nestled into the landscape to take advantage of passive solar gains and the views at the same time. A ground mount PV system is installed to allow these clients to achieve net-zero living!